96 registered members (Animisha, BigIslandGuy, AnthonyPaulO, aphexdisklavier, barmassimo, barbaram, atcsam, 7uturu, 21 invisible), 1,418 guests, and 3 spiders. I have been comparing some high-end grands and have been visiting many dealers. I know “MSRP doesn’t matter” but have generally seen 35-45% discounts off MSRP, well within range of Fine’s MSP. These include rare $200k Bösendorfers and $110k SK’s. I am looking for more information on the Fazioli F228 which Fine states as $153k MSRP. In speaking with a dealer, they quoted me $165k, which I thought was outrageous. In trying to nudge them in the direction of “ok what’s actually the price” (while trying my best to avoid asking directly, in the event it is actually their price), they wouldn’t really hint on their flexibility. I’ll of course go to the table and negotiate, but I’m looking for some baseline expectation. Is 40% off in the range of reasonability? That sits at about $91k pre-tax. Or is the Fazioli simply in a price class of its own? In situations such as this, or buying just about product, for that matter, I think you are at the mercy (whim, call, requirement, need) of the dealer. S/he has set the price and if unwilling to budge, the customer accepts or walks out the door. I don't know where you are located, but if there is no competition, it is pretty much the dealer's call, isn't it? There may be no "fair" price, as you call it. Whatever ever your argument to the dealer, if the dealer is firm on "that's my price," what option do you have? That sits at about $91k pre-tax. Or is the Fazioli simply in a price class of its own? That sounds cheap to me for an F228. This is of course true. And I don’t mean “fair price” as in some non-existent “one-true” price. But I guess the general expectation seems to be that negotiation is to be expected with a high-end piano (that isn’t one of a kind). So I’m wondering to what extent that can be pushed, if other folks can relate similarly. Maybe 0.6 * MSRP is too aggressive for Fazioli. It's odd that you want to quote Fine's numbers, but not ascribe to his framework! I think his premise is that 30% off his MSP is a really good deal, but you'd like to squeeze that down to nearly 40%. Regarding the higher MSRP you were quoted, I understand--from someone who's opinion I respect--that it's not uncommon for manufacturers to wait until Fine's numbers are published before raising their prices. Faziolis are not produced in massive quantities. If a dealer is confident that he can move his stock, then the opportunity cost of giving you a screamin' deal is pretty high. Why would he want to give you 40% off when some other sucker customer will pay him much more? Understanding that Fine's MSP is basically double the dealer's cost, your desired price would probably be squeezing the dealer's margin too tightly. You've got to let the dealer make something, otherwise there's no point in him keeping the doors open. Anyway, if the dealer is unflinching and sticking to MSRP, than that's a pretty good indication that he's probably not going to come down much. If he was willing to come down anywhere near 40%, then he'd have almost immediately hinted at a discount. You should ignore MSRP and discount off MSRP and look for a discount off SMP. Are you in the United States and, if so, what part? I'm in Chicago, and dealers are cutting off their food supply by holding out for unrealistic prices on upscale pianos. It's not a good market over here. What would *you* realistically want to pay for the piano? To answer that, you have to have a good sense of what that money is worth to you and what that piano is worth to you. An uncomfortable reality, however, using that approach with these higher-end instruments is that you may lose the deal to some clown who just wants "status" furniture in their home. In the end, though, I've found that's the only way I've been satisfied with my deal -- that is, if I get more out of the object than I would have gotten out of the money. To this end, Larry Fine's price guidance has been mostly in line with my market expectation and value of money. It's odd that you want to quote Fine's numbers, but not ascribe to his framework! I’m a bit new at this. Are you in the United States and, if so, what part? Everything you said that follows makes sense. When I’ve been researching these high end pianos and talking to dealers, they’ve been showing off how “wealthy doctors” and etc. purchase these pianos, but can’t play at all. I do have a firm (and what I think is a fair) upper bound on what I can pay and comfortably afford. "I do have a firm (and what I think is a fair) upper bound on what I can pay and comfortably afford." With this in mind, make an offer based on this amount and be prepared to walk away if the dealer rejects the offer. They know what they can afford to sell for and you know best what you can afford to pay. Good luck. If your upper bound is 55% of their asking price, I would suggest not making it an "offer," per se. Maybe say something wistful like, "too bad I can only afford to spend 91k..." Maybe he'll offer a discount. btw, these dealers have to consider what the long term impact of lowball selling is. The vast majority of their customers are buying status symbols. If Faziolis start turning up in the living rooms of Joe Blows whom others might assume "can't afford" them, they will cease to be status symbols. Same if Joe Blow starts broadcasting how little he paid. And being status symbols is largely what sells them. In other words, many people are buying them specifically because Joe Blow cannot. With Fazioli you have to pay the price if you want the piano. 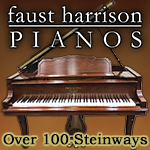 Some other high end pianos discount, but Fazioli never do unless there is an ex-hire piano around, if you can find one. 55% is certainly not my upper bound, rather it was robotic following of the pattern and advice regarding actual vs MSRP. Another factor in not sure how to integrate into my decision making is that they use this piano a lot. 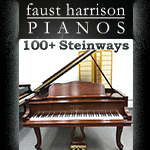 It’s not being gently used on the showroom floor, it’s being used for small-scale recitals and concerts. I was even forewarned about it’s tuning condition before trying it out. Obviously the instrument is in good condition, but it’s being used as if it has an owner already. That's a good point, high end 7' pianos often do serve marketing purposes, but that could also be an indication that the instrument is held in high regard. If it was a dud they wouldn't send it out to concert venues and others would hire it. 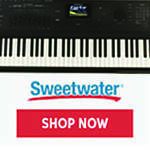 The fact that it's a working instrument is a discount you can ask for above and beyond what they offer, but the previous advice to make an offer is good. Be willing to walk away, if they can do better they'll call you with a better offer and you can always go back and say you'll pay their price. But give them at least a few days to mull your offer over. when you get right down to it, it doesn't really matter what a bunch of strangers online who neither buy nor sell Faziolis tell you. If the dealer says 165k is the price, then that's the price. Either that or he's not taking you seriously as a buyer. Ah ..... no. His first lesson in firm budget constraints. If you offer what you are willing to pay (say the 91K) and the dealer is uninterested, you move on. Don't get ... invested (sorry, couldn't resist). 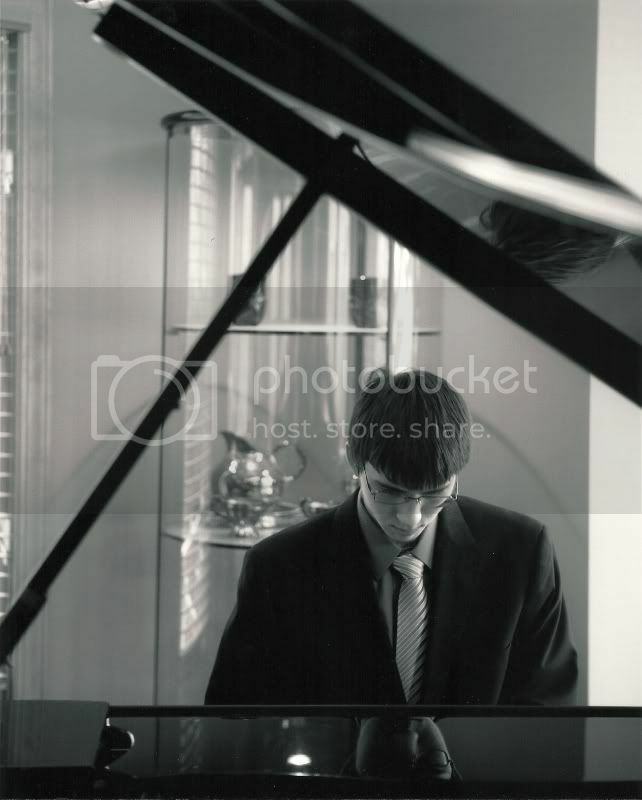 I would certainly like to know a lot more about the age, condition and use of the piano if it is being play for recitals and concerts. Trucking the instrument all around town and setting it up in different venues, acclimating it, and regulating it for different conditions and pianists is all going to take a toll. The longer this goes on the less I would be willing to pay. At least 10% discount per year for this alone. Wow, a Fazioli 228 at 91K. Where do I sign? Honestly, it all depends on your location. 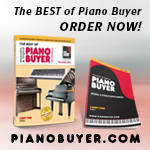 Here in Texas, high end pianos sell pretty good. 91K for a 228 would get me laughed at out the door. Texas is growing and there is a lot of "new" wealth to be spent. I would call other Fazioli dealers around the US and negotiate with them. Different cities have different markets. Try maybe Philly, Chicago, DC, New York, Miami. There is a huge benefit of buying out of state.... no tax (unless you are a model citizen and report yourself to the state you live in), that could easily be a 10K save. You just have to spend 2k to ship and wait a month or two for shipping. Dealers will rarely quite prices over the phone.